Can You Trade in a Car with Negative Equity? 1. What are the pros? 3. What steps should I take? Are you ready to apply for a trade in? Are you searching for dealerships that pay off negative equity? Thousands of people do this when their eyes suddenly open and they realize that they’re in an underwater car loan. There’s no need of losing money to depreciation and exorbitant interest at the same time. That’s why today, you’ll learn how to trade in a car with negative equity. Are you planning to buy your first car? Let’s assume you bought a car using inhouse financing without really looking into the interest rates. The car is worth $50,000 and you receive $35,000 in credit. 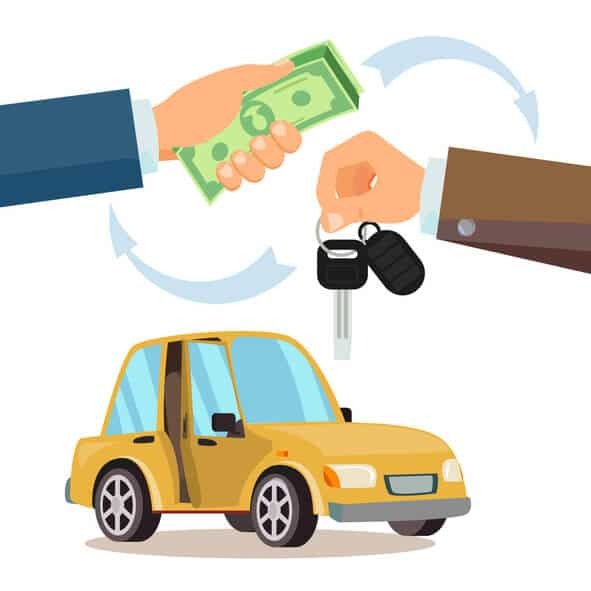 However, after analyzing the 36-month repayment period with a more experienced car owner, you realize that the loan principal plus interest amount to $60,000. Trading in your car enables you to get out of this bad situation. When you include the initial down payment of $15,000 to the principal and interest, it amounts to $75,000. It doesn’t make sense to spend this amount on a $50,000 car. Just because you have negative equity doesn’t hinder you from owning a better car. Perhaps you currently own a used car but feel it’s time to get a brand new car. Why? Because your everyday drive feels outdated when you look at the latest features. If you’re planning to switch from a saloon to an SUV, you’ll have an easier time lowering your monthly payments. The trade in combined with your down payment boosts your equity in the next car purchase. Thanks to this option, you won’t have to tie so much of your money on a car upgrade. Selling a car privately can get so time-consuming that a seller just settles for any price. You might post your car advert online but it takes two or three days for a potential buyer to call or send a message. Plus, you also have to make time for people who want to view the car before making a decision. A trade-in can take place within a couple of days. Car dealerships always have a high demand for cars in order to increase their diversity in inventory. Also, dealerships facilitate fast trade-ins because they want to finance your new car as soon as possible. What is blank check auto loan? Despite having negative equity, your credit score still improves after getting the trade in approval. Your new lender repays your outstanding balance within your previous repayment period. Doing this enables your former lender to release the title and close the credit account attached to your auto loan. This is a better alternative to a private sale. Why? Because if you haven’t found a buyer by the next payment date, your lender still expects money from you since you’re still under contract. Any delays or skipped payments directly affect your credit score. Let’s assume your outstanding loan balance is $30,000 but your car’s value is currently $22,000. Is this an underwater loan? Yes, it is because the credit exceeds the asset’s value. Your new lender expects you to bridge the gap between your asset and credit. So in this case, the difference between the credit ($30,000) and asset ($22,000) is $8,000. If a buyer doesn’t have access to this amount, he or she might have to liquidate an asset. Doing this can interfere with your long-term financial goals. For instance, selling company stocks which you intended to sell after ten years. Doing a trade in with negative equity allows buyers to roll over loans into new financing plans. However, this strategy works best for buyers who have hefty monthly gross salaries. It’s impossible to get payments lower than $800 unless you pay a 50% deposit for your new car. On top of the costly monthly payment, your lender expects you to get a comprehensive insurance plan for your vehicle. These high recurring expenses can put one in debt or make you put important investments at the back burner. Lenders use various sources to determine the value of cars presented for trade-ins. You’ll notice that each source has its own values based on its valuation formula. Some customers feel cheated while doing trade-ins because, they walked in with a certain value in mind, only for a dealership to counter offer with a much lower amount. This difference in valuation can hinder you from upgrading. If you thought you’d get $25,000 for your saloon but the dealer offers you $20,000, you’ll need to raise more money for your down payment. The unexpected change can make you delay buying a car as soon as you’d have wanted to. You don’t want to waste more money when you’re trying to get out of a bad loan. Rushing blindly can lead to one moving from one underwater loan to another. One might also end up with a dealership known for imposing hidden fees. Smart buyers look for good deals that save them money. Take some time to visit several dealerships to compare how much they charge for car financing. Reach out to friends who previously traded in vehicles with negative equity for some referrals. Download your bank statements and tax returns before heading to the dealership. Why is doing this important? Because car sellers want to confirm whether you meet the financial requirements necessary for their trade in agreement. Dealers also check driving licenses and request for SSN to verify buyers’ identities. Now that we’re heading into the Festive season, most identity thieves are busy stealing identities in order to purchase cars that they don’t intend to fully pay for. Trading in a car with negative equity also means agreeing to pay two auto loans simultaneously. We saw earlier that the lowest you can expect is probably $800. Most people prefer paying $500-$600 a month. Is there a way to lower this expensive trade in monthly payment? Yes, there is. Start saving up for a huge down payment. Plan to pay at least 50% upfront to avoid running into an underwater loan. Doing this also helps you pay lower interest payments by choosing a shorter repayment period. Plus, you enhance your car loan history because future lenders feel confident dealing with buyers who pay huge down payments. Trading in a car with negative equity enables you to turn a negative situation into a positive one. You’re able to get out of an underwater loan and upgrade to a better car using just one process. This saves you plenty of time when you compare it to a private sale. On the other hand, this method requires a substantial amount of money. You have to bridge the gap between the asset and credit value using your own money. Then, you’ll need a huge down payment to get affordable car monthly payments. Finally, make sure you do thorough research on a car dealership you’re about to approach for a trade in. Suggested topics you might like.